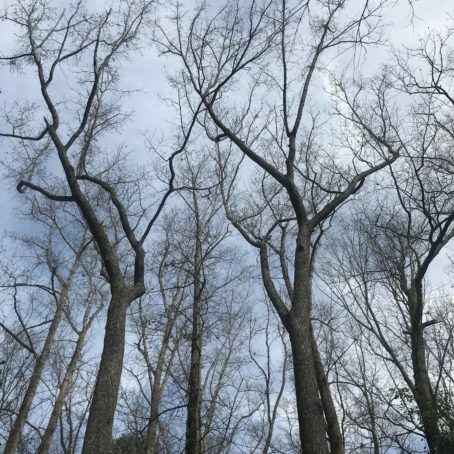 In celebration of National Poetry Month, Eco-A partners with Poet Marti Keller, for a naturalist walk on the Agnes Scott Campus, beginning at the subcontinental watershed divide and walking to one of Decatur’s hidden wild spaces along the headwaters of Shoal Creek. We’ll have time to stop for some reflective breaks to write some lines of Haiku — please bring a note pad! The short, specific 5-7-5 rhythm of Haiku lends itself to an easy and fun way to capture your nature inspirations in verse. This will be a slow meditative walk, giving time to reflect and write in several special locations. Marti will give us some background about this traditional Japanese art form, and share some creative pointers for converting your nature experiences into writing. We’ll of course share naturalist observations as we walk as well.